The Elk Drug Store in Spokane has changed many times over its 90 year history. 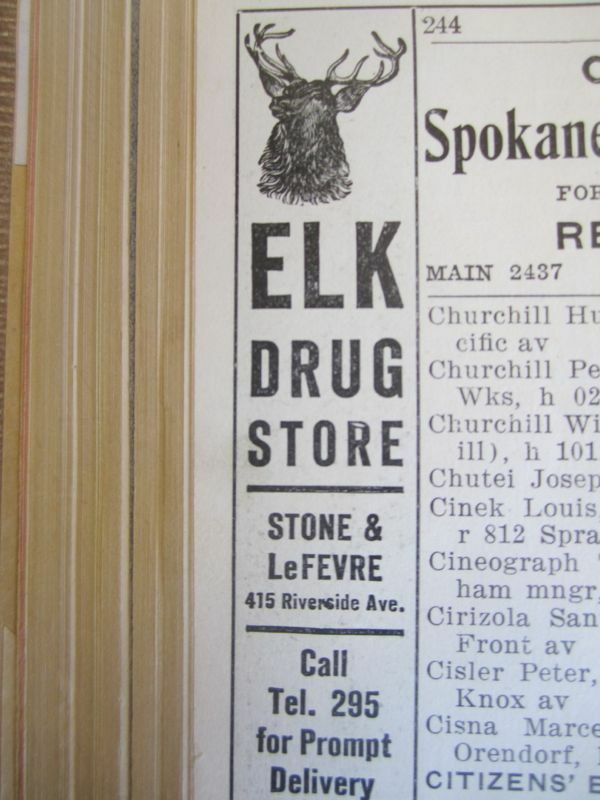 Initially the Elk Drug Store opened by a partnership of Stone & Sutherland in Spokane on 415 Riverside Avenue between 1900-1902. 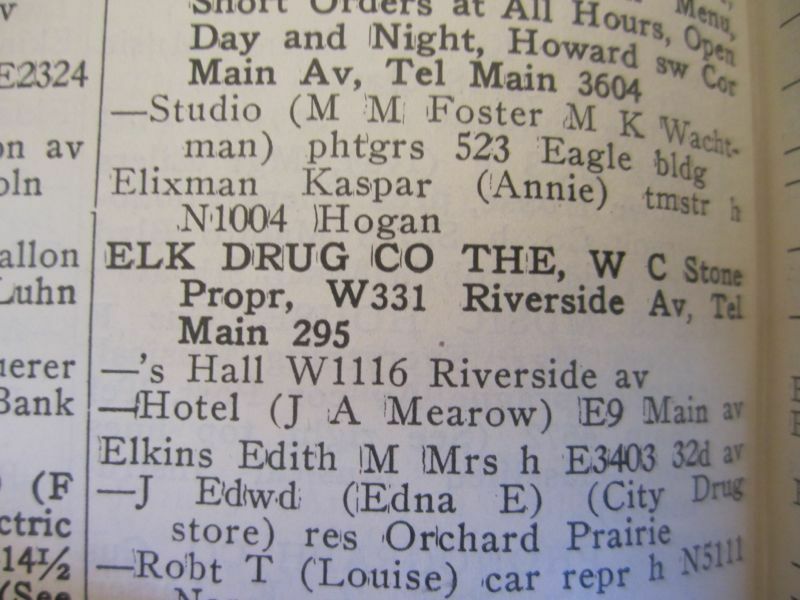 Thanks to the MAC Archives prescription books for the Elk Drug Store still exist. If you look at the images for this stop you can see some of the old perscriptions dating back to 1900, fair warning doctors' handwriting has not gotten any easier to read over the last 113 years. As people moved on, Stone replaced Sutherland with a new partner, LeFevre, by 1905. 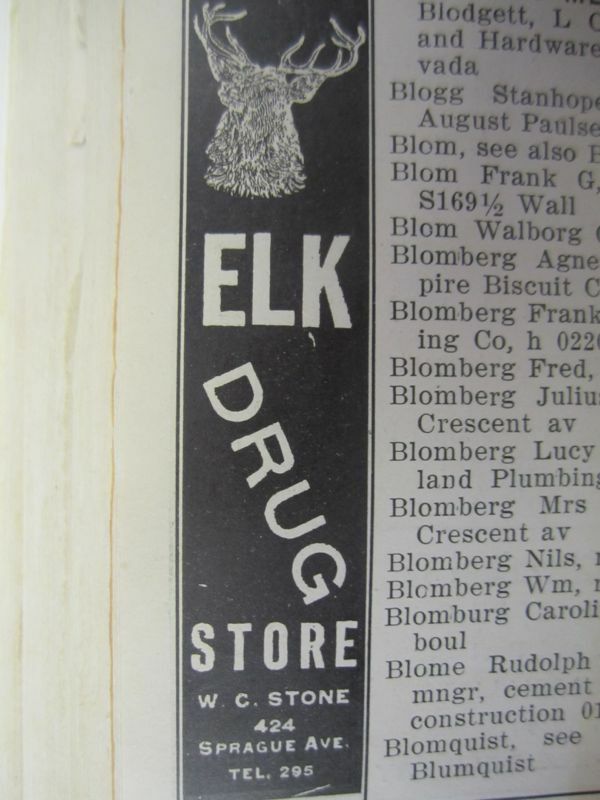 By 1910 the Elk Drug Store had relocated to 424 Sprague Ave and W.C. Stone was the sole proprietor of the business. Between 1911 and 1915 the Elk Drug Store moved again, to W 331 Riverside Ave. 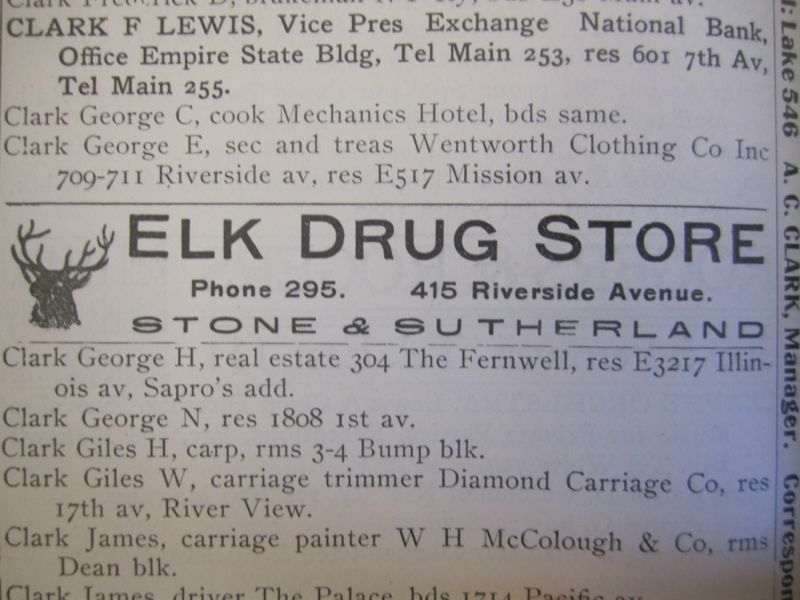 In 1920 the Elk Drug Store did not move or change ownership, however the name had changed to The Elk Drug Company. By 1925 W.C. Stone moved on from his business and C.H. Colby was operating the Elk Drug Company. The building you are looking at, located at 1931 W. Pacific Ave., housed the Elk Drug Store, a pharmacy and soda fountain that Eugene Whitehouse opened and operated in 1940. Eugene Whitehouse, who lived in an apartment in the back of the pharmacy. Bill Dahmen later operated the pharmacy and soda fountain. The Elk Drug Store operated at this location for over 50 years when in the 1990s the interior of the building underwent major renovation to allow use as a restaurant / bar. 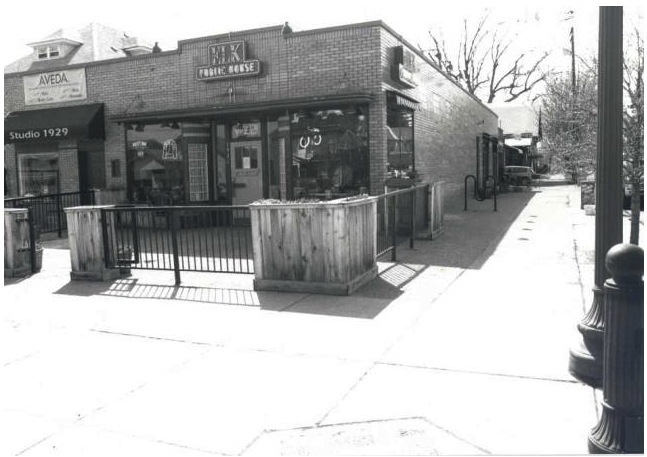 In 1998 the Elk Public House took over as the restaurant operating in this space. The Elk Public House has been featured on Food Network's "Diners, Drive-Ins and Dives" television program in 2010 and continues to be a community favorite. Although the Elk Drug Store has largely been a place of business, there was a sordid evening in 1983 when the drug store was held up at gunpoint. Listen to the podcast for this stop to hear this story. Zachary Wnek, “Elk Drug Store,” Spokane Historical, accessed April 20, 2019, https://spokanehistorical.org/items/show/314. R.L. 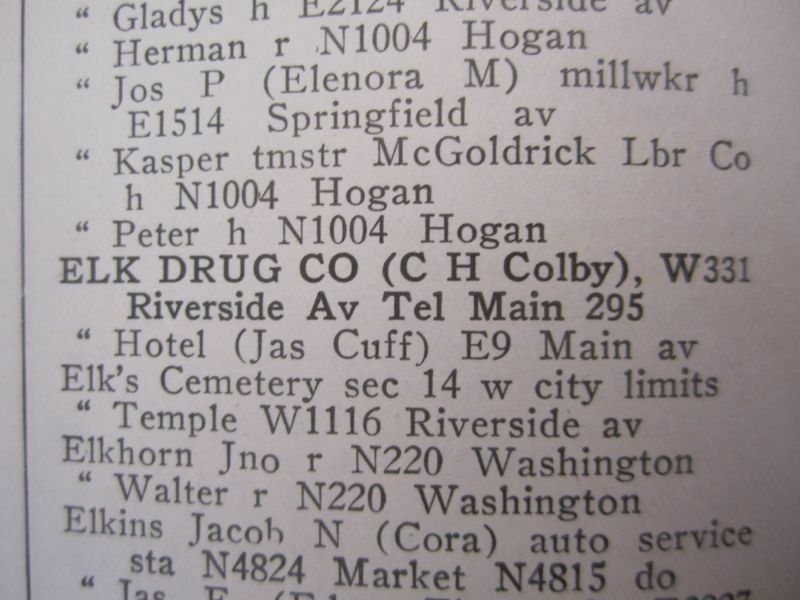 Polk & Co. Spokane City Directory. Vol. 1900. R.L. Polk & Co., 1900. ---. Spokane City Directory. Vol. 1902. R.L. Polk & Co., 1902. ---. 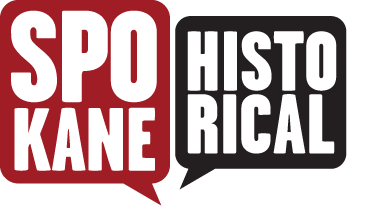 Spokane City Directory. Vol. 1905. R.L. Polk & Co., 1905. ---. Spokane City Directory. Vol. 1910. R.L. Polk & Co., 1910. ---. Spokane City Directory. Vol. 1915. R.L. Polk & Co., 1915. ---. Spokane City Directory. Vol. 1920. R.L. Polk & Co., 1920. ---. Spokane City Directory. Vol. 1925. R.L. Polk & Co., 1925. Yeomans, Linda. 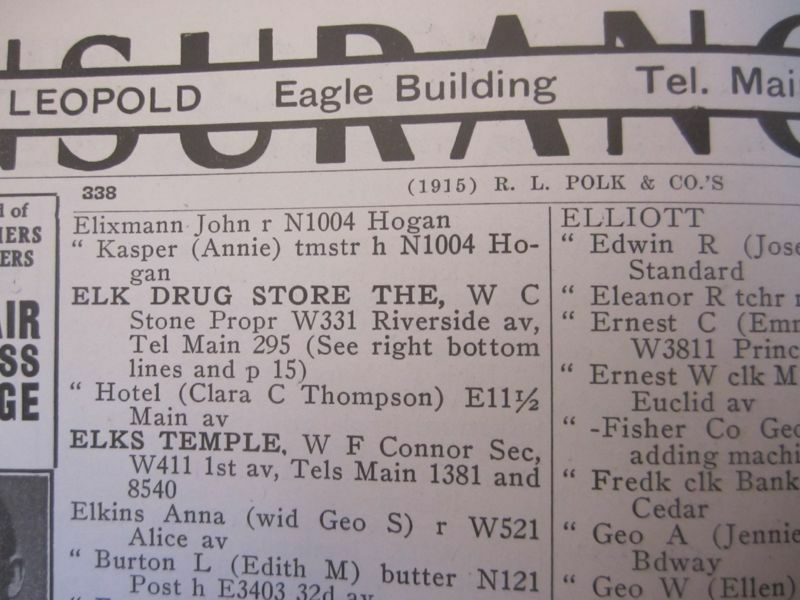 "Historic Property Inventory Form: The Elk Drug Store Building". State of Washington, Department of Community Development Office of Archaeology and Historic Preservation, December 1, 2001. "Elk Public House Spokane WA | Food Network on the Road", n.d. http://www.foodnetwork.com/local/wa-spokane/elk-public-house-restaurant/index.html#/38.736171/-97.222306/4/ (accessed March 27, 2013).